Bring your family, friends and your own picnic and refreshments and have a fun-filled evening. While the weather forecast for Saturday predicts that it will be warm (28 degrees at midday), it will cool down later on and may get windy. Remember to bring a blanket or ground sheet for your picnic area. After the picnic on the lawns, as the sunset fades, there will be a short (about 30 minutes) talk by the Observatory staff, then we will have a tour of the Observatory followed by a chance to look through their telescope in the hope we can see Saturn, weather dependent. If we can see it, it's apparently a sight one won't forget. Do join us for this really special opportunity. 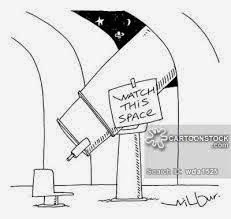 Due to limited space inside the Observatory we need to give them a approximate amount of folks attending. So please let Anne know by e-mail if you are attending before Friday 20th February on email: anne.bareham@gmail.com.